Everyone involved with Show Racism the Red Card has been overwhelmed by the response to Wear Red Day 2018 and we would therefore like to take this opportunity to offer our heartfelt thanks to the thousands of you throughout Scotland who supported the day. Your support makes a massive difference to the campaign and we hope that as a society, we all reap the rewards of anti-racism education. 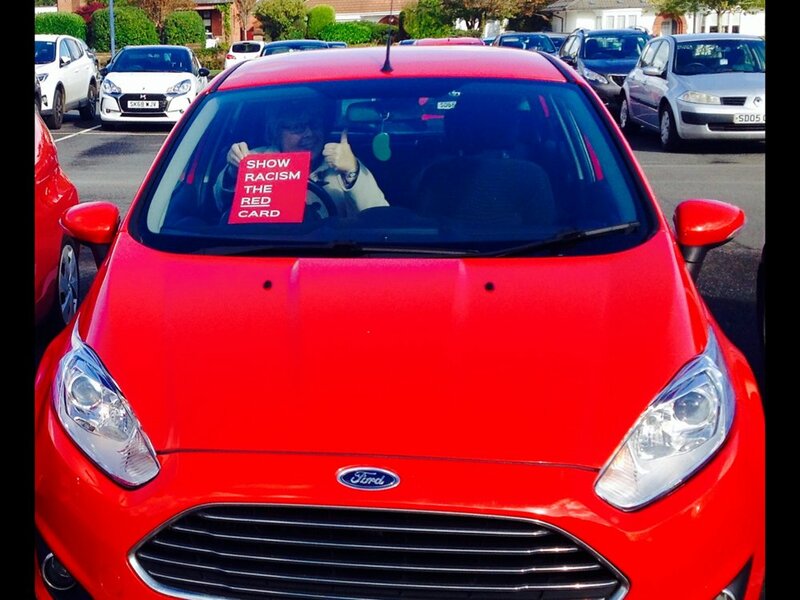 On Friday 5th October 2018, Show Racism the Red Card Scotland hosted their annual fundraising day, Wear Red Day (WRD). For the fourth year in a row the day was a huge success throughout the whole of Scotland. 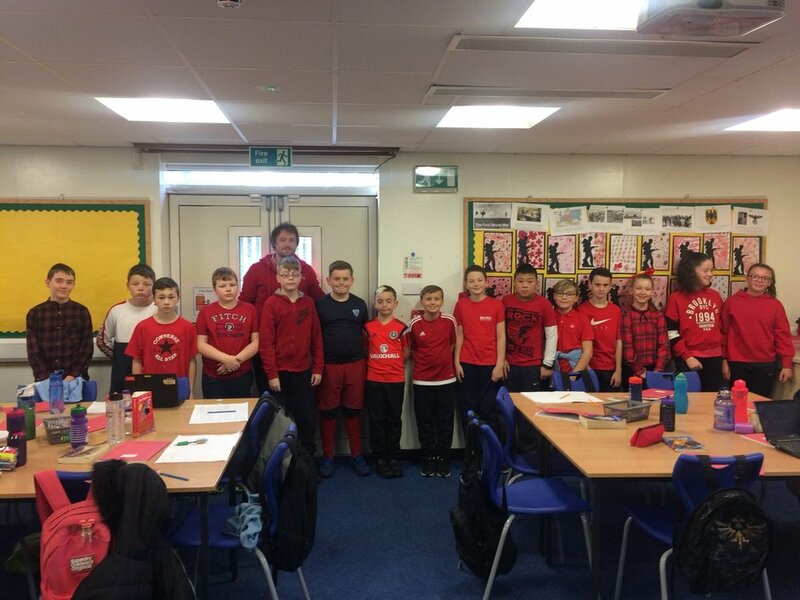 Wear Red Day involves individuals from schools, workplaces and businesses showing solidarity for the campaign by wearing red in support of Show Racism the Red Card and where possible donating £1 to contribute to anti-racism education. Once again, the annual fundraiser caught the hearts and imaginations of people throughout Scotland who are passionate about making a stand against racism. This year, the participation was greater than last year as more schools and businesses took part. We also managed to get a number of councils to take part as well as some Unions who have been excellent supporters of our campaign. 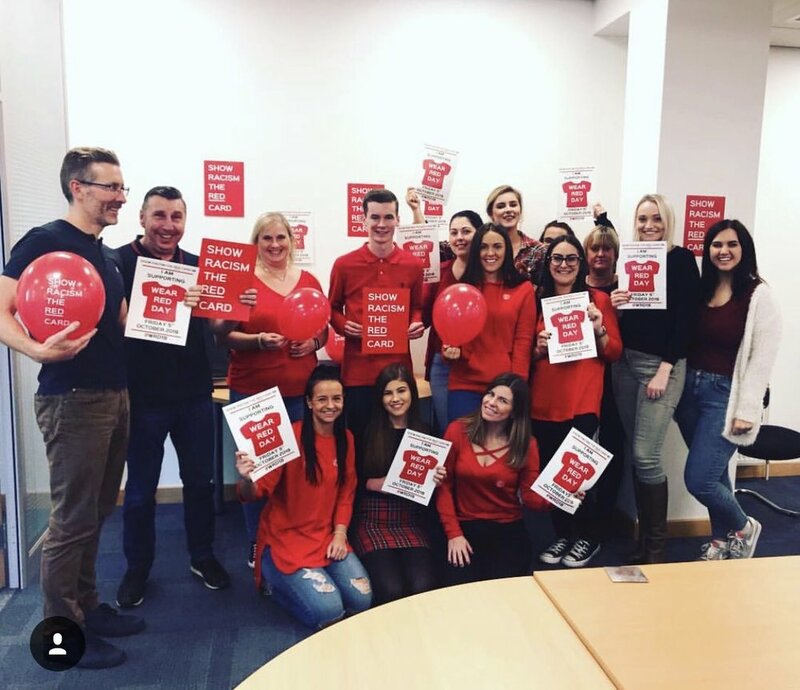 We had an excellent turnout at the Scottish Parliament where MSPs from all parties took part in a photocall to support Wear Red Day as well as our campaign. They were joined by Show Racism the Red Card patron and Scotland National Team Manager Alex McLeish who has supported the campaign for several years. Show Racism the Red Card would like to take this opportunity to offer our heartfelt thanks to everyone throughout Scotland who supported Wear Red Day 2018. Your support can make a difference and we will continue working as hard as we can to counter some of the narratives that have threatened to divide our communities recently.